The warning comes as Google predicted that the modern version of the Victorian-era 'spirit boards' will be a sell-out this Christmas. "It's easy to open up evil spirits but it's very hard to get rid of them," the Vincentian priest and exorcist, who spoke on condition of anonymity, told the Sunday Independent. "It's like going to some parts of Africa and saying I'm personally immune to Ebola. But it does leave people open to all kinds of spiritual dangers. People don't intend any spiritual harm by it, but we live in a spiritual realm and you have no way to control what may impinge on you." The exorcist said evil spirits, and even demons, will masquerade as departed loved ones as a means of gaining possession and, as a result, "people don't realise they can get infected". 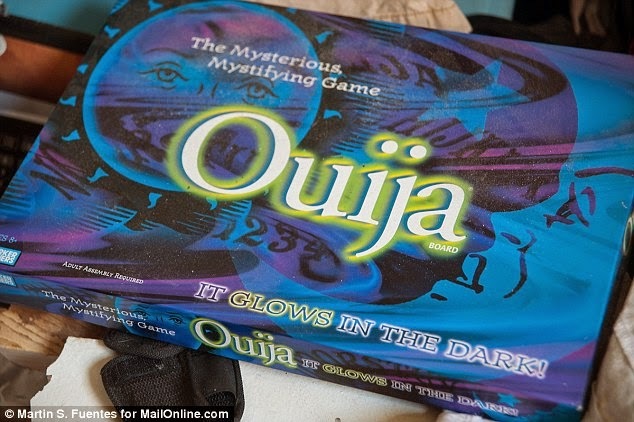 Darren Ansell, one of the three-member team of paranormal investigators based in the North known as Paranormal Study and Investigation (PSI), said he personally "wouldn't touch an Ouija board with a barge pole". He told the Sunday Independent: "I've had too many scares over the years." Ansell's team, which featured on BBC's Greatest Haunts, employs scientific methods and state-of-the-art technology to determine the natural or paranormal causes of unexplained phenomena. 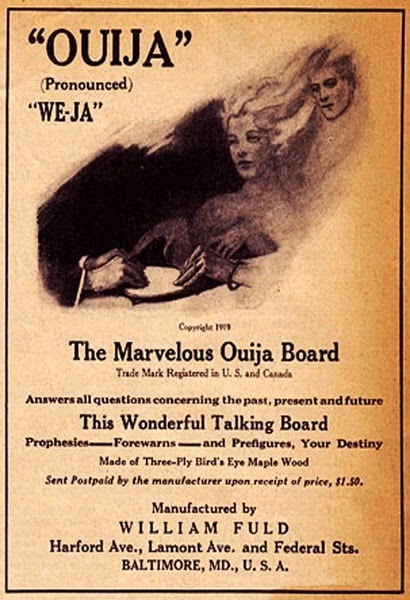 Some of PSI's controlled experiments on groups using Ouija boards confirmed subconscious muscular movement responsible for answering questions put to the board. But he has also interviewed many board users - all of whom have reported very negative experiences during or after the sessions. They include hearing demonic voices; unexplained feelings of anxiety and depression in otherwise mentally healthy people; relationship breakdowns; hearing noises; and seeing objects flung around or moved. People from London to Glasgow reported hearing loud unexplained noises on Saturday night. In some areas the booms, which occurred between 10pm and 10.30pm, were so loud that they shook windows and left many people scared and confused. Some took to social media sites to speculate over what might have happened with suggestions ranging from a meteorite explosion to the sonic boom of a passing aircraft. The Ministry of Defence however has denied that any jets had been scrambled over the country at the time the noises were heard. A loud explosion was also picked up near Catterick, Britain's largest army base, at 3am on the same night. Police carried out a full investigation but couldn't find anything to explain it. Two people called police on Thanksgiving Day to report a monkey on the loose. The callers said they saw it near Tampa's Lowry Park Zoo — first in a yard, and then running along Sligh Avenue. But the zoo told police it wasn't one of theirs. "The monkey was described as being approx 3 ft tall, brown and fast," Tampa police wrote on the agency's Facebook page. "There is no probable cause for this monkey's arrest, however, we will work tirelessly to apprehend him," police wrote. "If anyone has any information on the monkey's whereabouts or has future sightings, please call the Tampa Police Department at 813-231-6130." An anonymous report to police had the monkey hanging around Hiawatha Street east of Armenia Avenue. Most neighbors contacted Friday by the Tampa Bay Times were skeptical about the sighting, though some conceded a monkey might have taken up residence amidst the neighborhood's lake-front homes, given the scores of fruit trees in some back yards. "We have bananas and there are some orange trees nearby," said Anais Ochoa, 14, who lives on the 2100 block of Hiawatha. She said she's hoping the reports are true, so she could see the monkey. "I wouldn't approach it. I wouldn't want it to jump on me," she said. Police have visited the neighborhood and warned Hiawatha residents not to approach the animal if they see it. Kathy Rivitt, 45, who also lives on the 2100 block of Hiawatha, said the monkey tale raced through the neighborhood once police showed up Thursday. While she's skeptical, she said she catches herself scanning trees in her yard and nearby, wondering whether the monkey is up there. "I told my daughter we won't be feeding him," she said. The most famous mystery monkey of Tampa Bay — named Cornelius — began making headlines in 2009. The male rhesus macaque had been spotted throughout the bay area, repeatedly evading efforts of wildlife experts to capture him. Some believed he had been forced out of a colony of monkeys in Silver Springs, near Ocala. Cornelius became somewhat of a celebrity, generating national TV chatter, a Facebook fan page and celebratory cries of "Go, monkey, go!"